This is the little log cabin I have been working on...for a while now. I would get a little done then either not be able to work on it, or not be in the mood to work on it. But at long last the top is finished....but I still have to decide what to use for the backing and get it made. And I used it for the inner border...and I wanted enough to use for the binding when done. So ran over to Lori's Pins & Needles to get more. They didn't have it, though I am just about positive that is where I got it. So finally decided on a different fabric for the binding. And I first pinned them....I knew it was going to be close as to whether I had enough or not even then...but guess what? The first one I pinned on fit exactly. And so did the second. Now sometimes I first measure and then cut the strips, but others I just sew them on and cut off the extra length. I have not had problems doing it either way. Anyway, the top is done, now to decide on what material to use for the back...that may take some time. Oh wow, that turned out so pretty. I agree I would use a red for the backing. The fabrics you chose are stunning! I'm glad you had enough fabric to get this far. I haven't sewn anything for a while...but I DO remember not having enough fabric on hand to finish the project. Very frustrating! Really nice combination of colors. So pretty! Wow! It's beautiful, Rose! I would probably choose a neutral color for the back, but what do I know? I'm sure it will be great whatever you do! Very attractive colors and textures. Looks very good to me. how about a red batik? There are some striking batiks out there. This is so pretty. The last photo makes me feel like I'm in a sea of red bubbles! My mother-in-law quilted so I know this is tedious but the end result is so worth it. What a beautiful quilt top! So much work! I am so impressed! 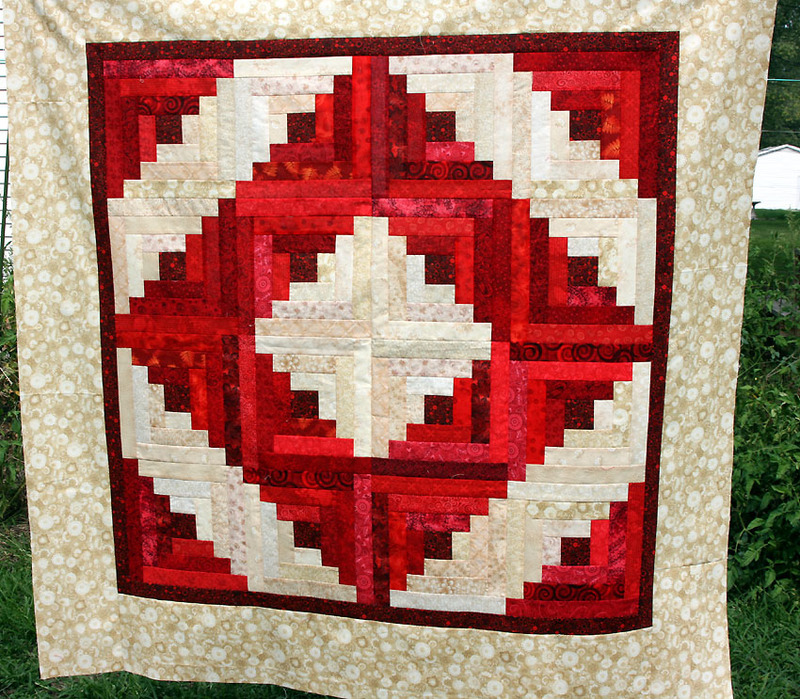 LOVE your quilt top, Rose! I would back it with solid red! It's going to make someone very happy!